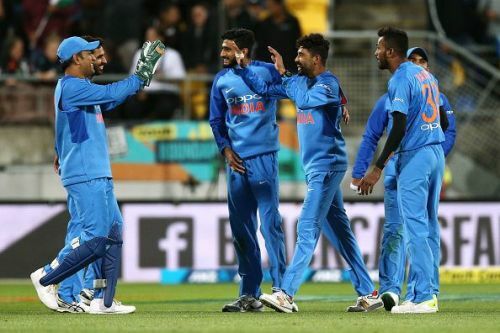 India were considered favorites to win the T20I series against New Zealand heading into the opener. Not only has their recent form in this format been phenomenal, but the Kiwis were also coming off a 1-4 thumping in the ODI series. The momentum was certainly in favor of the Indians heading into the first T20I at Wellington. Things didn't go as planned for the tourists though. They were humbled by a resurgent Kiwi side by 80 runs. The margin of defeat pretty much summed up the manner in which both sides played on the day. The Indians were far too erratic - with the bat, the ball and on the field. On the other hand, the hosts were clinical in all the departments. Their batting was fantastic, all their bowlers chipped in with wickets and they took all the catches that came their way. They would want to continue their good form in the second T20I and seal the series 2-0. India, meanwhile, would want to forget about what happened at Wellington and put on a much better performance next time around. One cannot read too much into a single defeat, but there are certainly some areas India must work on to get back to winning ways and level the three-match series. 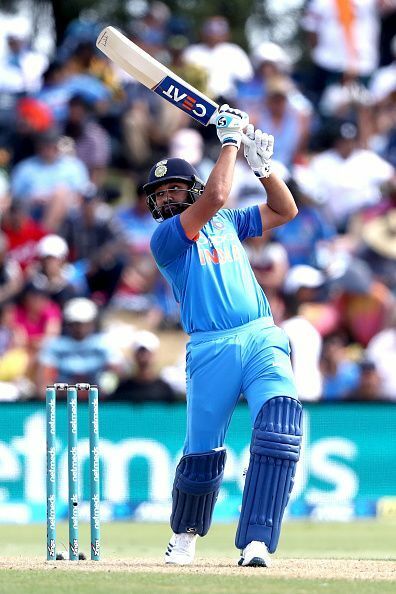 A large proportion of India's success in the limited overs formats in the recent past can be directly attributed to the performance of their top three batsmen - Rohit Sharma, Shikhar Dhawan and Virat Kohli. They have certainly been the foundations on which India have successfully chased big targets or set huge totals. With Virat Kohli being rested for the T20I series against the Kiwis, the onus of piling on the runs falls on the openers Shikhar Dhawan and Rohit Sharma. Taking Rohit's record for Mumbai Indians and India into consideration, it is clear he is a very successful T20I skipper. He needs to bat responsibly and take few balls to get his eye in before attacking the Kiwi speedsters. Tim Southee in the first T20I worked on a plan and bounced out Rohit Sharma. if the Indian skipper had played out a few deliveries, there were runs to be had. In the remaining T20Is, Rohit should get his eye in before going for the assault. As we have seen in ODIs recently, he is capable of making up for a slow start later on in his innings. India will need him to fire on all cylinders if they are to negate the threat of Lockie Ferguson and Tim Southee, and pile on the runs. If that happens, it would be pretty hard for the likes of Mitchell Santner, Colin de Grandhomme and Ish Sodhi to keep him quiet.